A quantitative β-Hydroxybutyrate test system for laboratories with low volume testing needs. 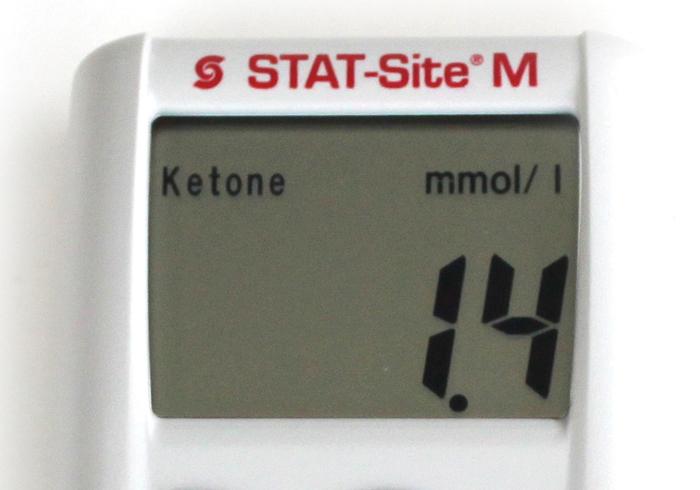 The STAT-Site® M B-HB analyzer from EKF Diagnostics is used for the quantitative determination of B-Hydroxybutyrate (Beta-Hydroxybutyrate (BHB) Analyzer) in serum or plasma, aiding in the diagnosis and monitoring of ketoacidosis. It is composed of a reflectance photometer and dry-reagent test strips. Beta-Hydroxybutyrate (BHB) Analyzer is used to aid the diagnosis and monitoring of patients with ketosis (also known as ketoacidosis and diabetic ketoacidosis or DKA). Ketosis occurs when the body begins to break down its stored fats in response to a low supply of energy (glucose). This process produces the ketone Beta-Hydroxybutyrate (BHB) Analyzer, which is further catabolized into acetoacetate and then into acetone. 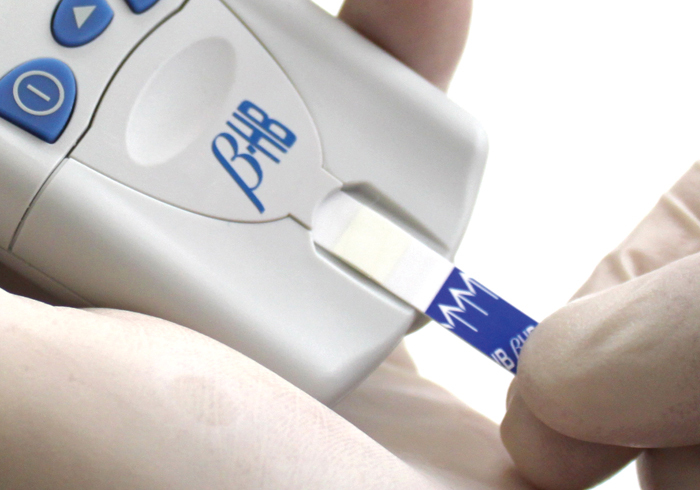 Quantitative: Beta-Hydroxybutyrate (BHB) Analyzer results provide the best and earliest indicator of ketosis and resolution of ketoacidosis (DKA). Reliable: Beta-Hydroxybutyrate (BHB) Analyzer is 78% of all available ketones and provide a better tool for differentiating metabolic acidosis and monitoring response to therapy. Improved Clinical Outcomes: Resulting in higher quality of patient care while reducing ER/ICU patient stay. Fast: Platform delivers results within 80 seconds. No lag time: Due to testing serum or plasma samples. Because Beta-Hydroxybutyrate (BHB) Analyzer accounts for approximately 78% of all ketones bodies present, and is the first one to be present during ketosis, it provides the clearest indication of a patient’s condition before and after treatment. For this reason it is a more appropriate test than traditional nitroprusside tests that measure only acetoacetate and acetone. 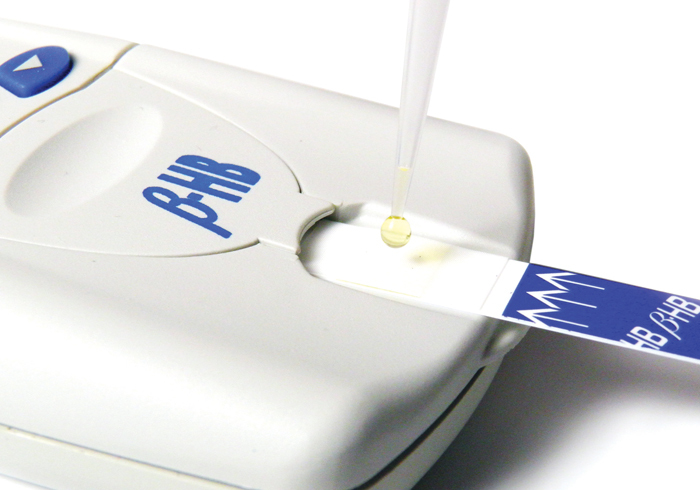 The STAT-Site M Beta-Hydroxybutyrate (BHB) Analyzer uses dry reagent strips to provide results in 80 seconds allowing patients displaying symptoms to be quickly diagnosed and then monitored on a regular basis. The specificity of Beta-Hydroxybutyrate (BHB) Analyzer means that patients receive a higher quality of care while reducing stays in Emergency Rooms and Intensive Care Units. Analyzer, one 3V Li battery (installed), one replacement 3V Li battery, user manual and warranty registration card. Analyzer, one box of 40 test strips, one box of controls, one box of diluent and one box of linearity check. How does β-HB help to diagnose ketosis? When the body begins to break down its stored fats in response to a low supply of energy (glucose) it produces the ketone β-Hydroxybutyrate, which is further catabolized into acetoacetate and then into acetone. The nitroprusside method detects less than 22% of the ketones present in ketosis. β-HB is the main ketone produced by the body (78%). β-HB demonstrates excellent stability, making it the most reliable indicator of clinically relevant ketosis and ketoacidosis. During ketosis, β-HB levels increase more than levels of acetone and acetoacetate, clearly indicating the patient’s trend in metabolic status. Quantitative, objective β-Hydroxybutyrate results provide a better tool for differentiating metabolic acidosis and monitoring therapy.